Soon, we will be watching the culmination of six years of ABC's drama Lost. After so many twists and turns in the plot, you would have thought that nobody is keeping count anymore. We've found some great Websites to bring you up to speed with everything Lost before the 2.5-hour-long finale. Lostpedia is like the Wikipedia version of Lost, and stores an amazing 6783 articles about the series. 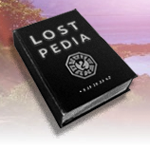 Edited by an avid community of Lost fans, Lostpedia has extensive explanations about all the flashbacks and flashforwards, and keeps tabs on all the episodes. If you are a fan of Lost, or you are looking for explanations from the series' plots, Lostpedia is the place to go. Dark UFO is one of the most comprehensive sources of Lost news from across the Web. It also keeps tabs on spoilers, rumors, and media mentions of Lost, and has a very interesting "Theories" section, with commentary around each episode, and how the show could end. Dark UFO will also host a live series finale live chat, in case you want to see live feedback of the epic episode. The Lost section on TV.com has a wealth of information on the series. Each episode from the 6 series has a full recap, reviews from fans, and detailed info on cast and crewmembers. The best bits are the Trivia, Notes and Allusions sections, which add context to each episode and glance into the writers' inspiration. As the name implies, Lost Media puts together in a blog timely videos and information about the show, and quickly became one of the go-to places for updates. On Lost Media you can find dozens of videos with TV appearances from the cast, awards ceremonies, and also plenty of cast photos and screenshots from the episodes. Lost.com is another fan site community for the show's devotees, and it's quite focused on fans' activity. The site has many videos and photos of Lost fans' meetings and conferences, and has a very lively messaging board. What Will Happen to These Websites When Lost Ends? Ds, special editions, and these sites will have plenty of content to feed from. Lost Media for example, says that it plans to keep the site up as long as people are interested and continue to visit, and most of the other sites will probably do the same. Before you set off, we leave you with Jacob's visit to Jimmy Kimmel's TV show, via Lost Media.